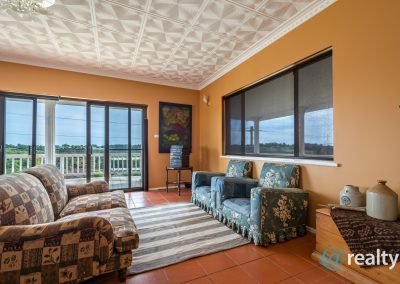 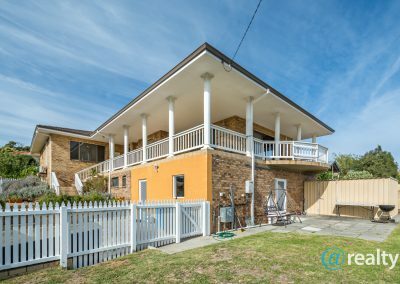 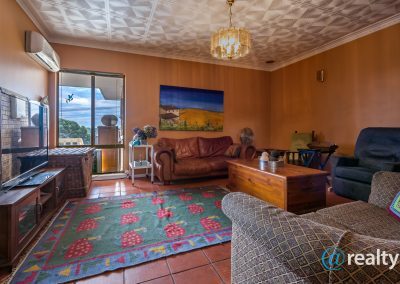 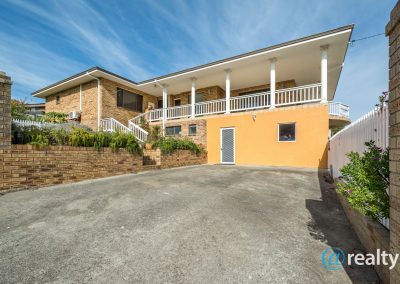 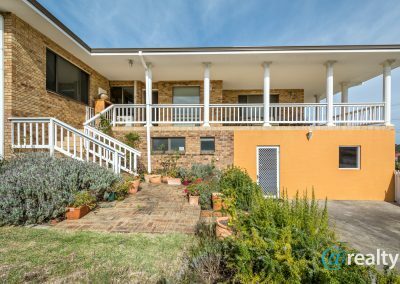 If you want to be close to town, need a large house which could accommodate two families and would like a rural outlook – all for under $500,000 then look no further. 2 Tunney Way offers all that and more. 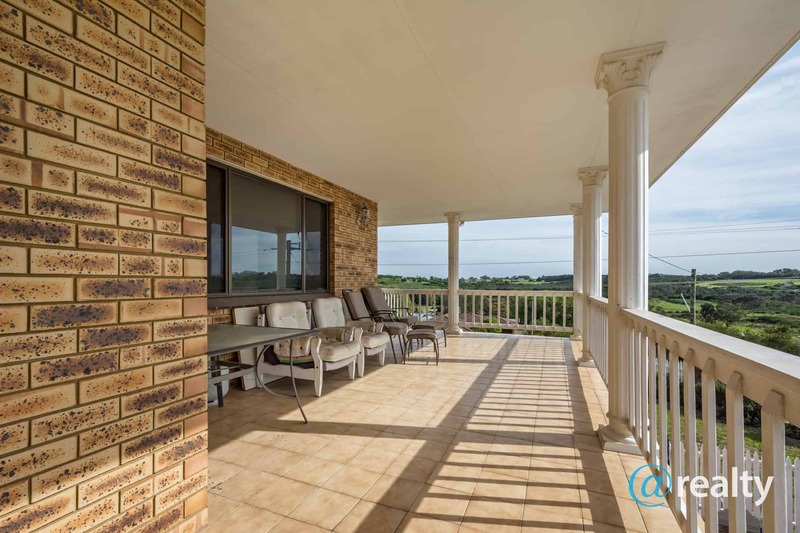 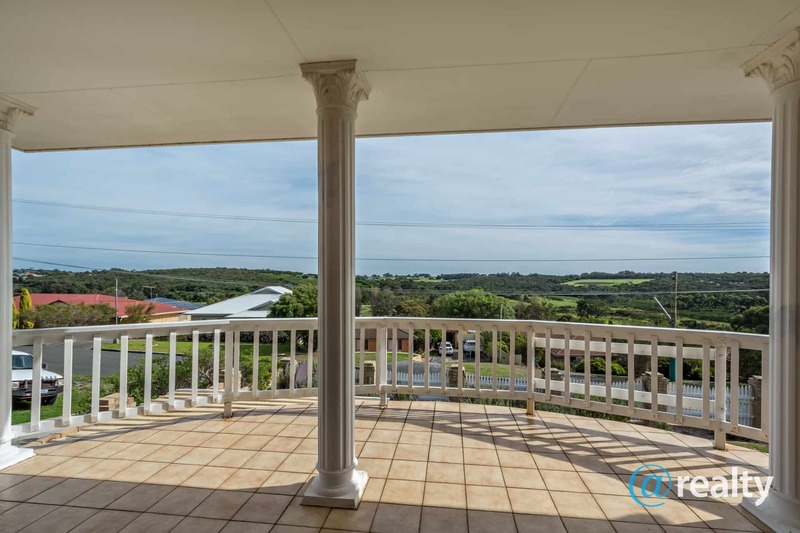 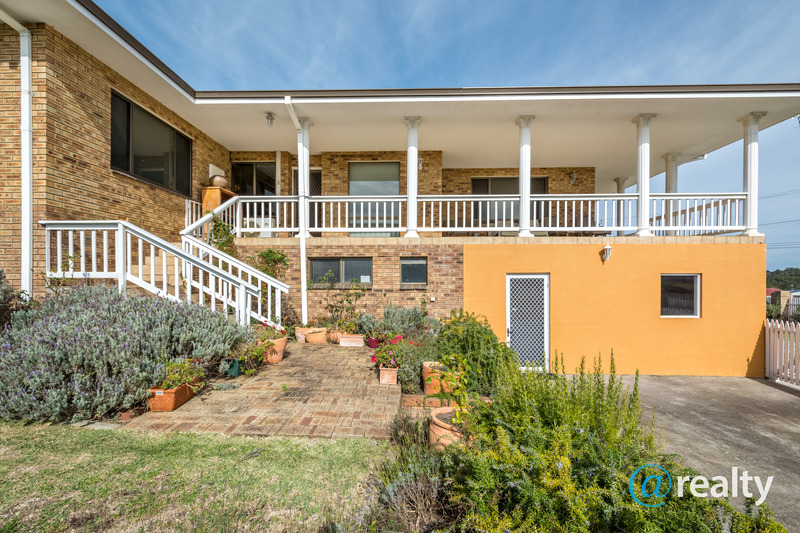 The huge Mediterranean style home features a large verandah which stretches around the northern and eastern sides of the home – ideally situated to soak up that all important sunlight, ensuring the home feels light and bright. 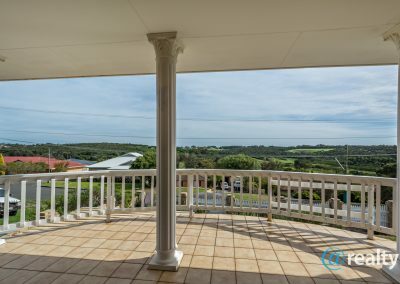 The white pillars and balustrade on the veranda frame the rural outlook romantically, giving you a beautiful view of trees and rolling hills reminiscent of the Italian countryside. 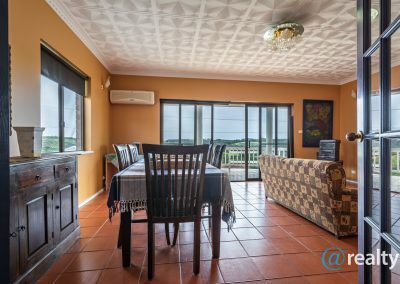 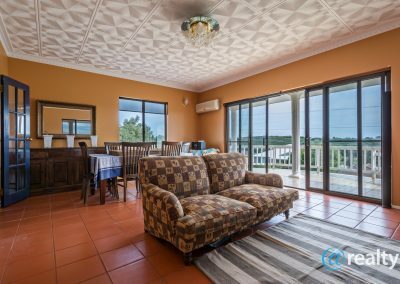 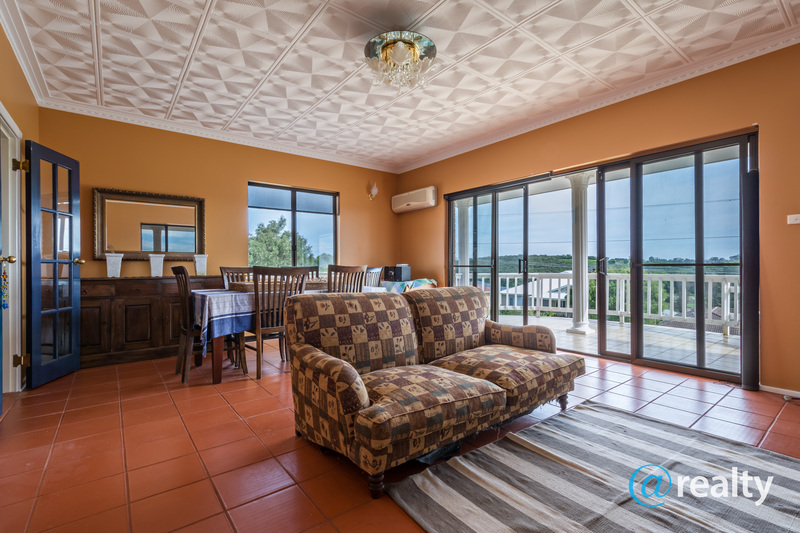 Enter from the verandah through double sliding doors and you’ll notice the Italian theme is continued within the home, with terracotta tiles in all rooms save the bedrooms, bathrooms and laundry. 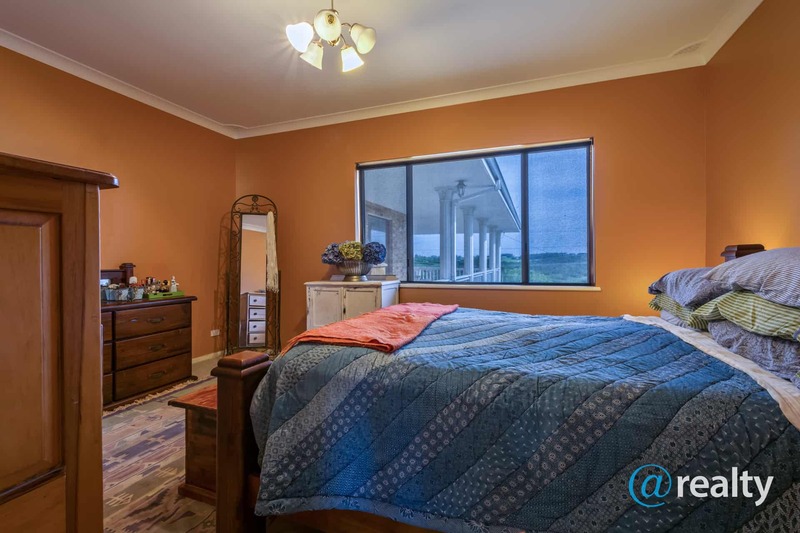 The walls were painted to match, all a tasteful shade of Tuscan orange. 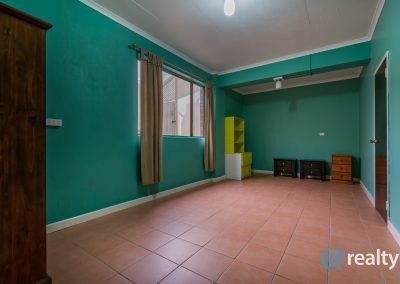 The informal living area comprises a large room, easily fitting a dining room table and a lounge suite, also featuring an air-conditioning unit for those colder Albany nights. 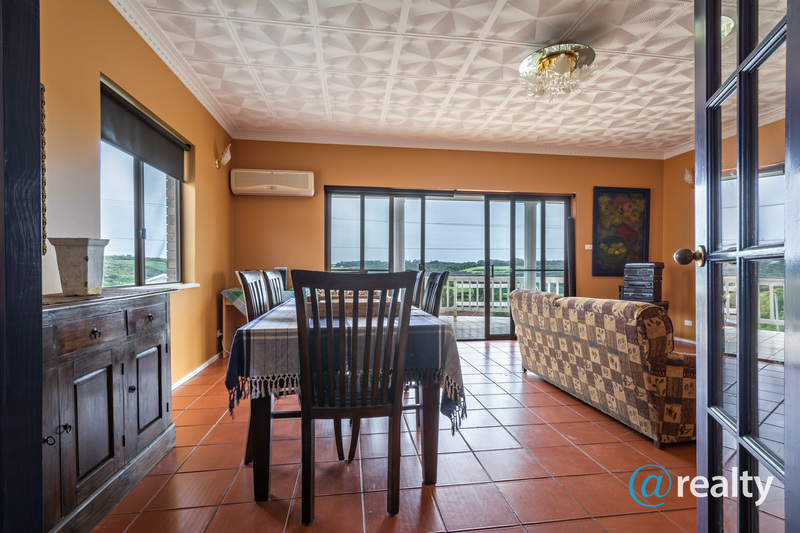 A formal dining area separates the informal living area from the upstairs kitchen, though it is currently used as a study and storage area. 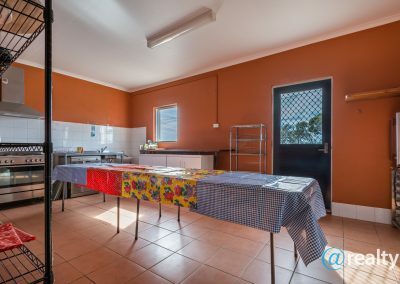 The kitchen is well equipped, with an abundance of drawers and overhead shelving and plenty of space for both a fridge and freezer. 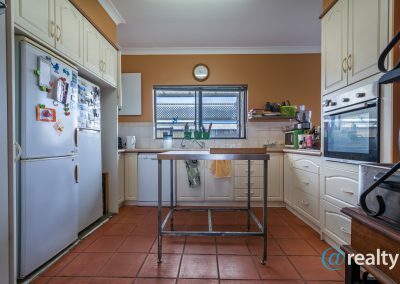 A dishwasher and new oven are built in making cooking a delight. 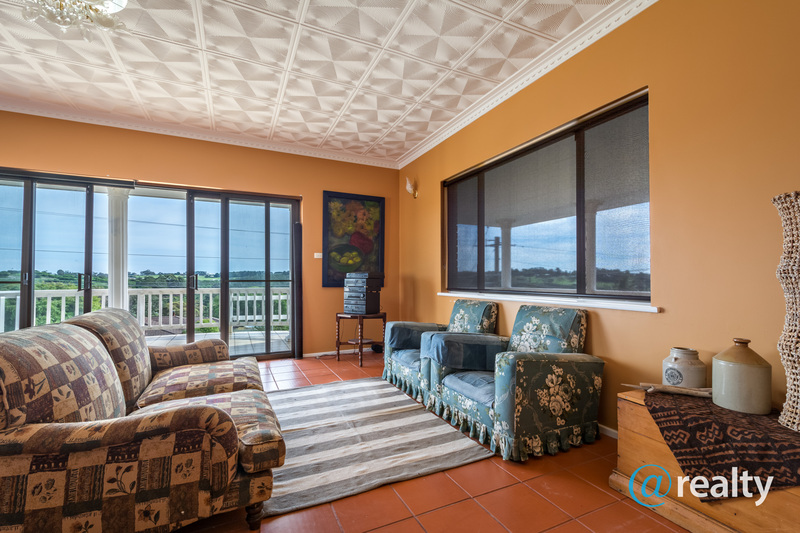 The formal lounge backs onto the kitchen, a large room featuring a delightful mosaic ceiling – also with air-conditioning. 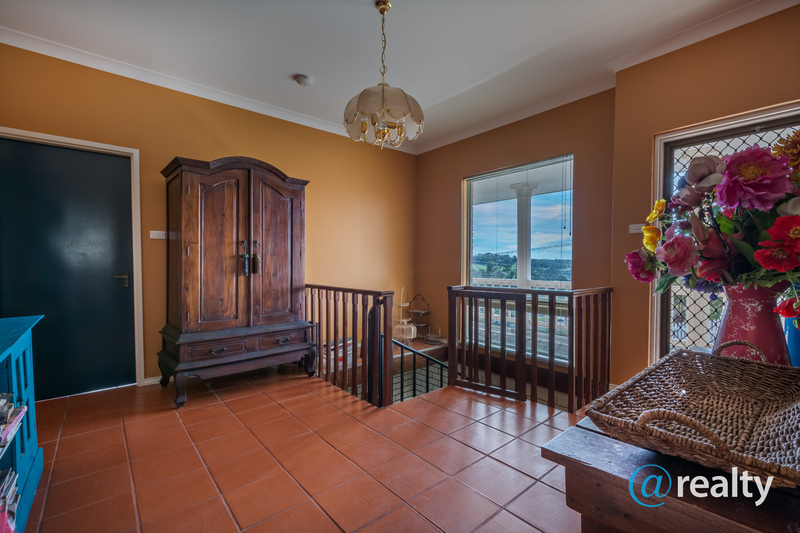 The upstairs entry hall and main entrance can be found to the right of the lounge, parallel to the formal dining area. 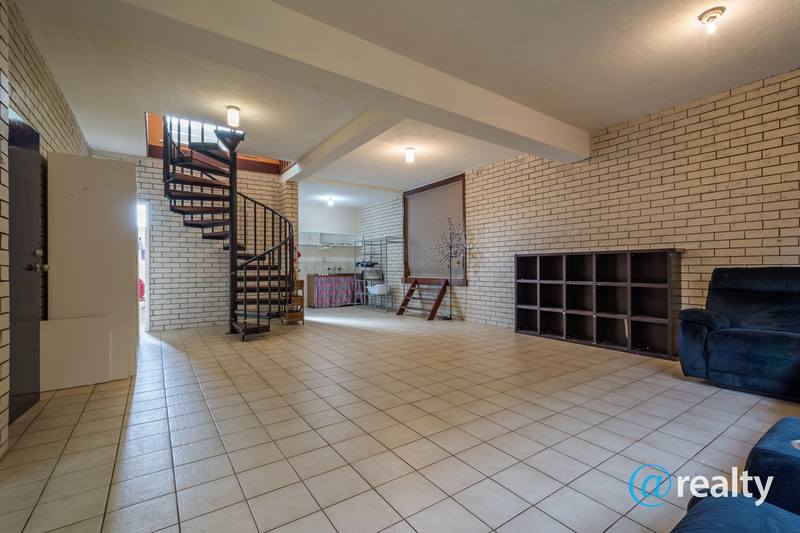 This is the main entrance to the home and also boasts a spiral staircase that leads to the downstairs level. The corridor behind the lounge room leads to the bathroom, laundry and four bedrooms. 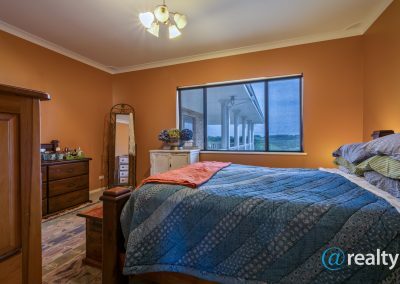 At the end on the left you’ll find the master suite, a large room with an ensuite bathroom and lovely rural views from large windows. 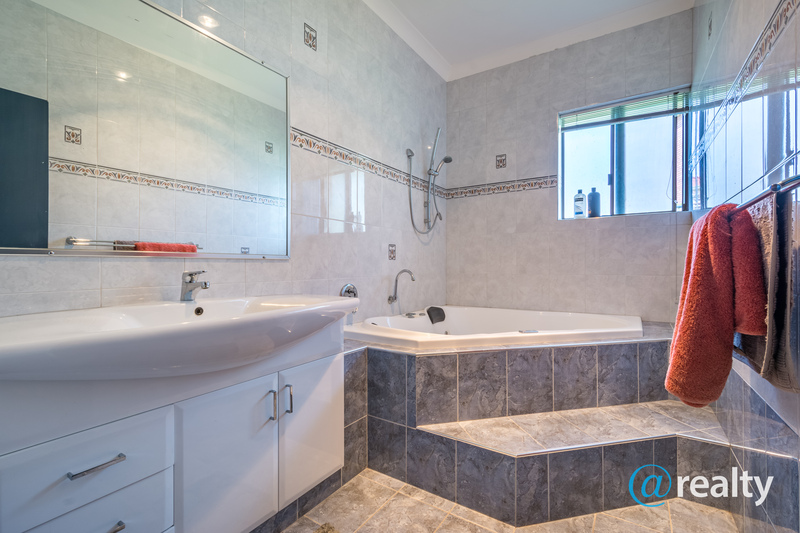 The bathroom has white and blue tiles and features a shower, toilet and basin. 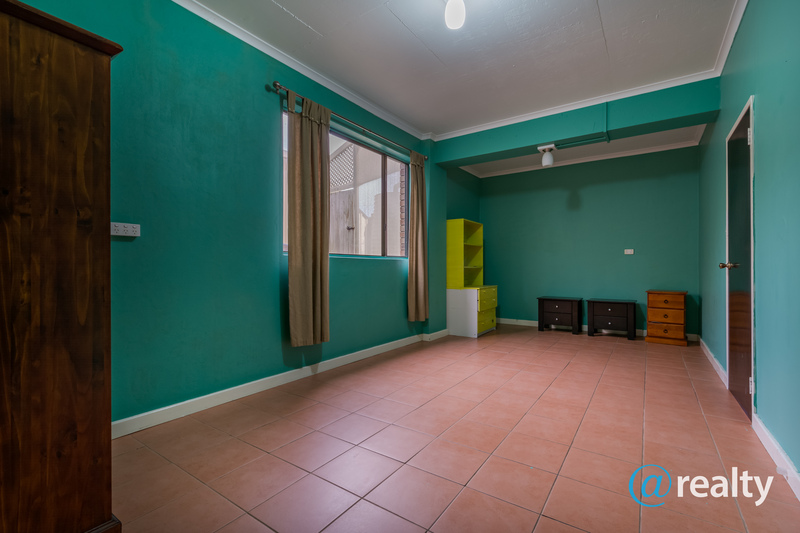 Directly opposite the main is bedroom two, one of three double sized rooms. 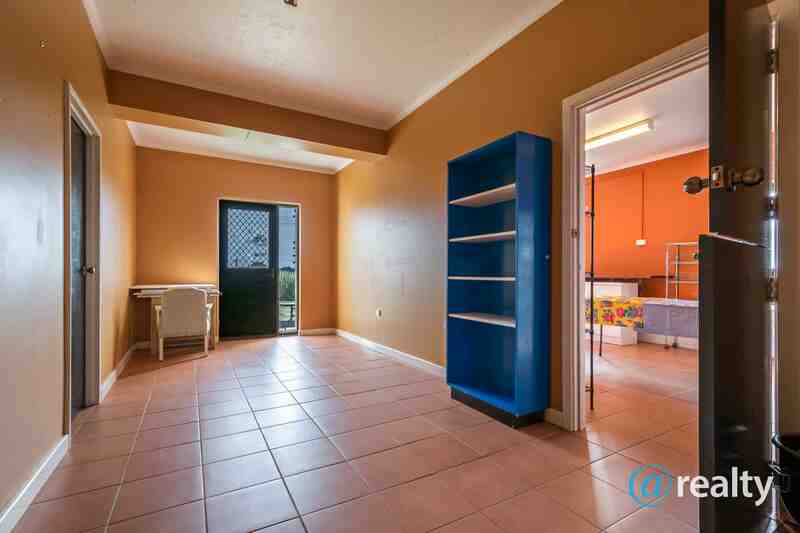 Bedrooms three and four are further down the corridor and boast built in robes but are otherwise identical. 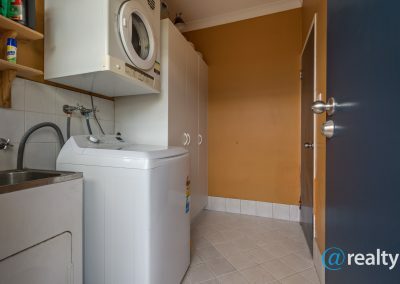 A bathroom with a large spa bath/shower and basin can be found between bedrooms two and three, and a laundry room featuring a sink, linen cupboards, a washing machine and a bracket for a dryer is located at the end of the corridor. 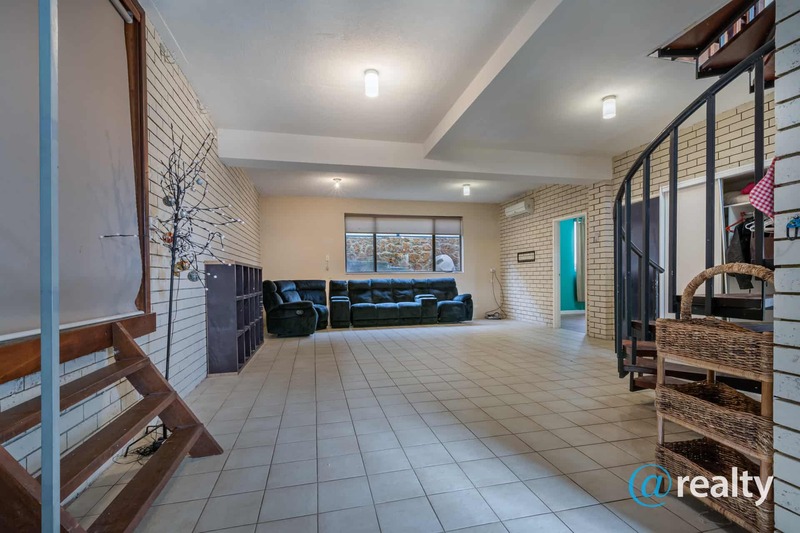 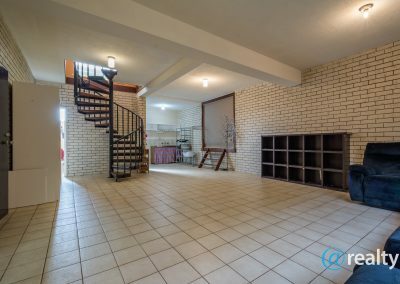 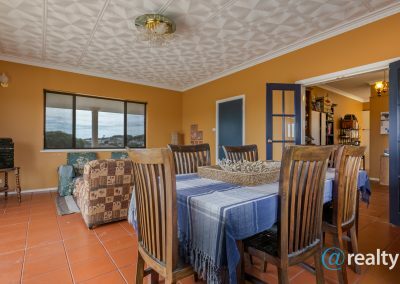 The downstairs area is largely unfurnished, but it is easy to imagine it being used as a completely separate living area ideal for intergenerational living, short stay or extended family that would like to move in. It has its own bathroom complete with a shower and basin, a separate toilet and an industrial sized kitchen which most big families could only dream of. 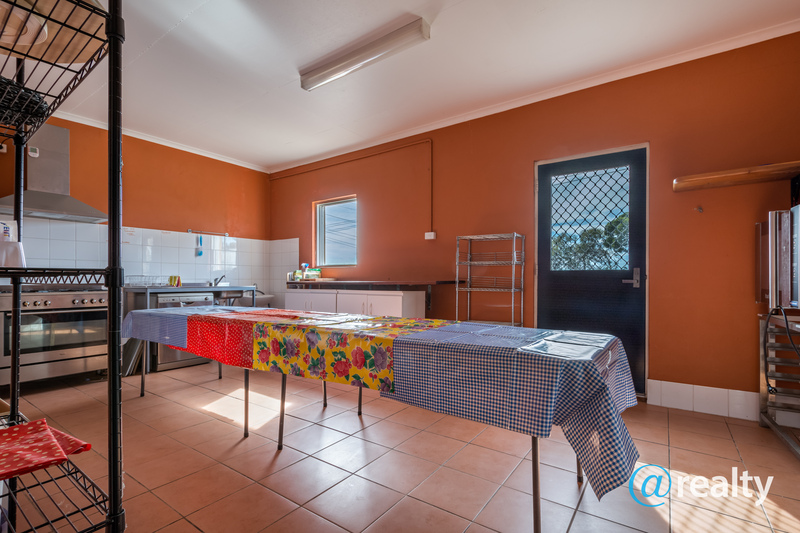 A huge oven, modern dishwasher, sink and a row of cupboards are a few winning features of the room. 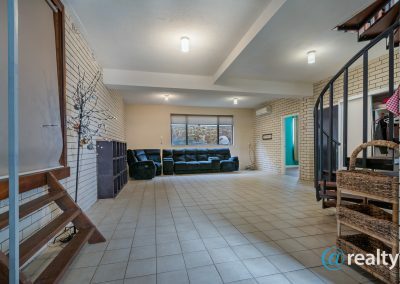 A large bedroom and open plan living area make up the rest of the massive downstairs area, which even boasts its own air-conditioning unit and separate entrance to the front yard – meaning you won’t have to use the main entrance or go through the upstairs residence at all and can keep your own hours. 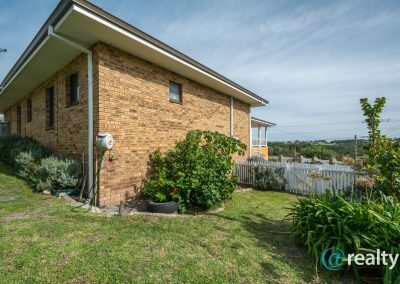 The front yard is enclosed and is ideal for keeping kids and pets secure, a neat garden shed is located to the left of the downstairs entrance – perfect for storage or keeping gardening tools. 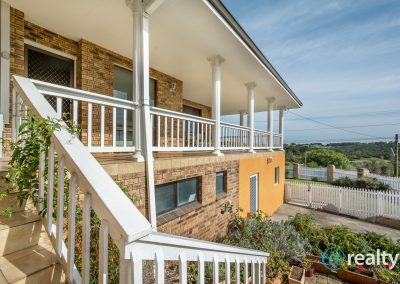 Most of the area is grassed and easy maintenance shrubs have been planted along the inside of the fence adding to the homely feel. 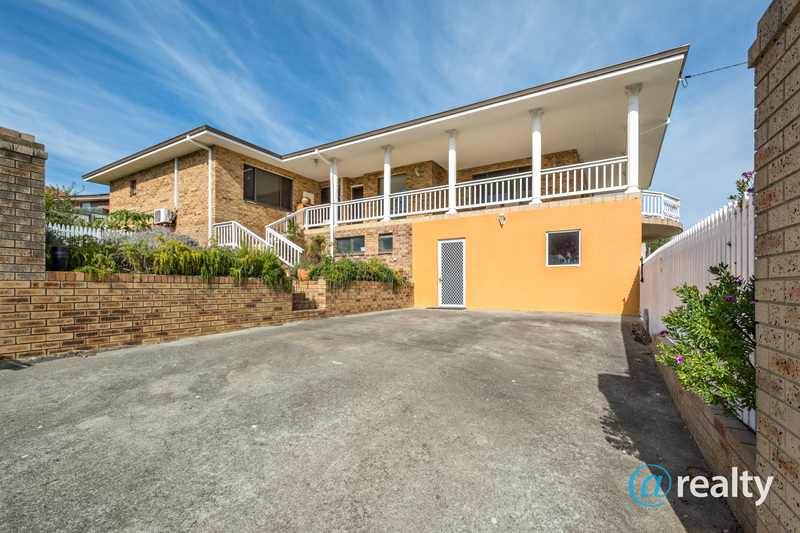 As the home is a 792m2 corner block there is plenty of extra parking along the north and eastern sides before the road verge. On the southern end of the property there is a separate yard that is also enclosed, boasting a few lovely fruit trees and providing more space for pets or giving you two areas in case the guest or family’s dog does not get along with yours. Around the side of the yard is a door which gives access to the laundry which makes doing washing that little bit easier. 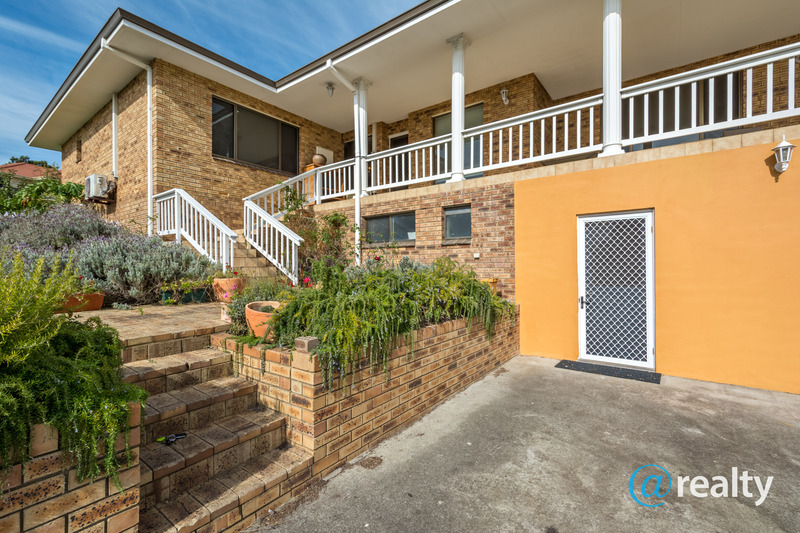 A low fence and a flight of stairs separates the two yards. 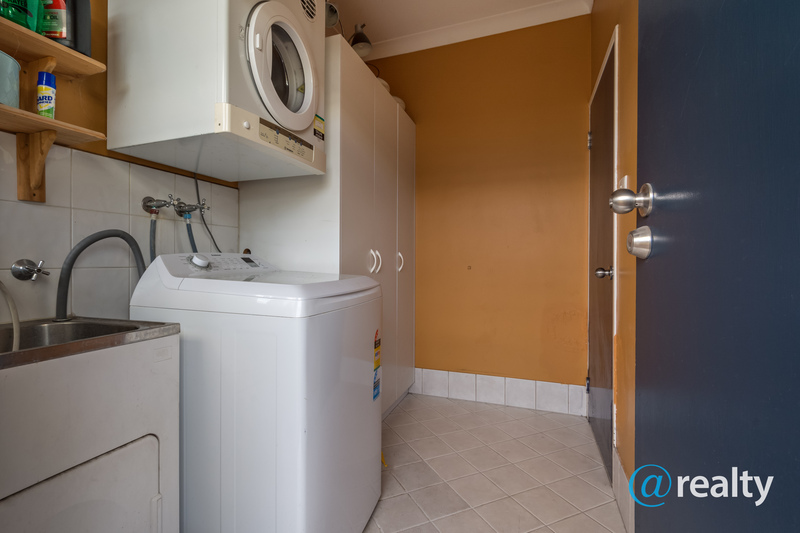 On the eastern side of the property where extensions have been made to accommodate a downstairs kitchen some cracks have appeared in the wall, these cracks have been assessed by builders and would be straightforward to fix. 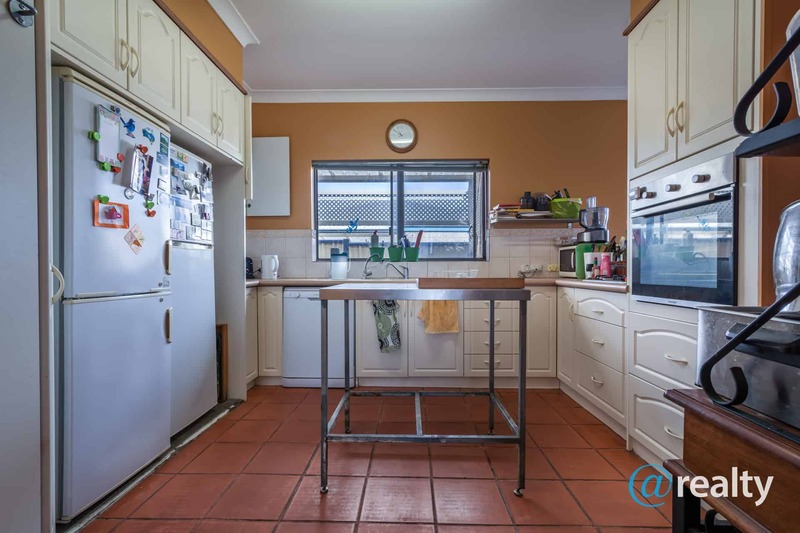 A report is available for interested buyers and the cost of fixing it up is reflected in the asking price. 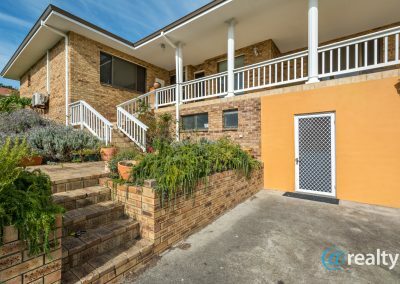 The owners of this enormous home started renovating when they bought it but there are definitely still a few little odds and ends that will need attention to get it into pristine condition. 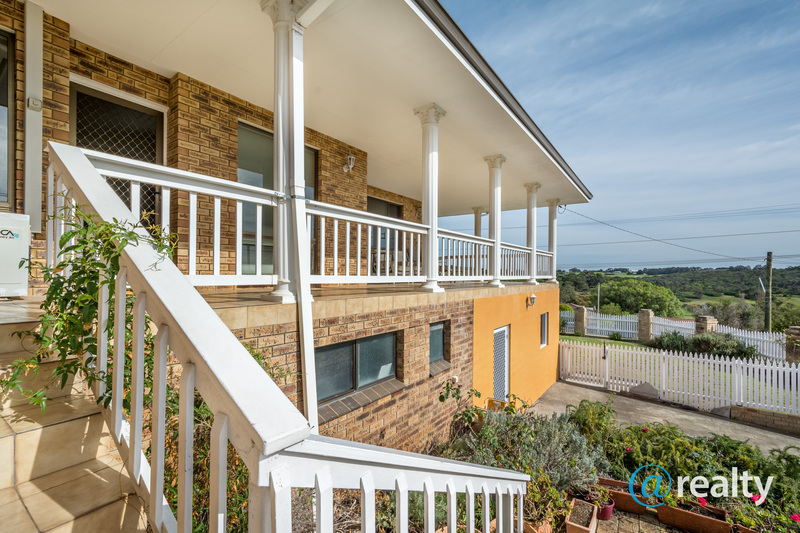 The base is there, and gorgeous, so here’s your chance to put your own stamp on a few finer details. 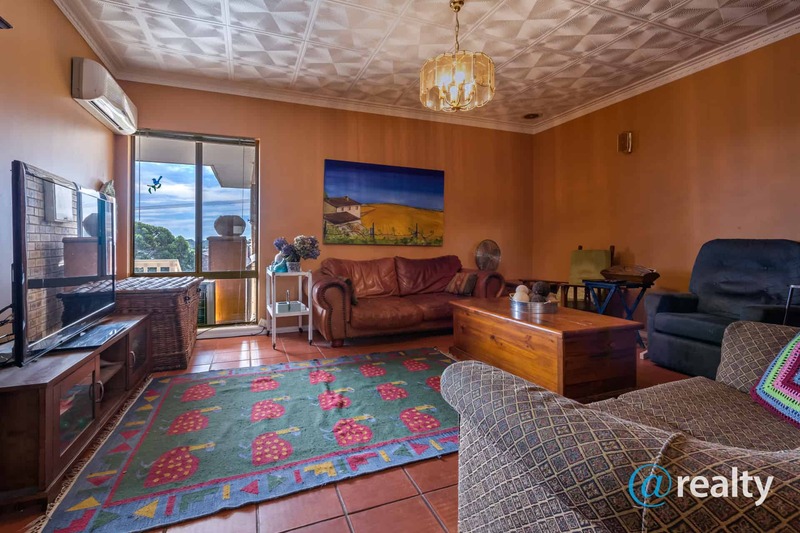 Don’t miss the opportunity to view this intergenerational home, as it will suit a huge range of buyers and is brilliantly priced for a quick sale. 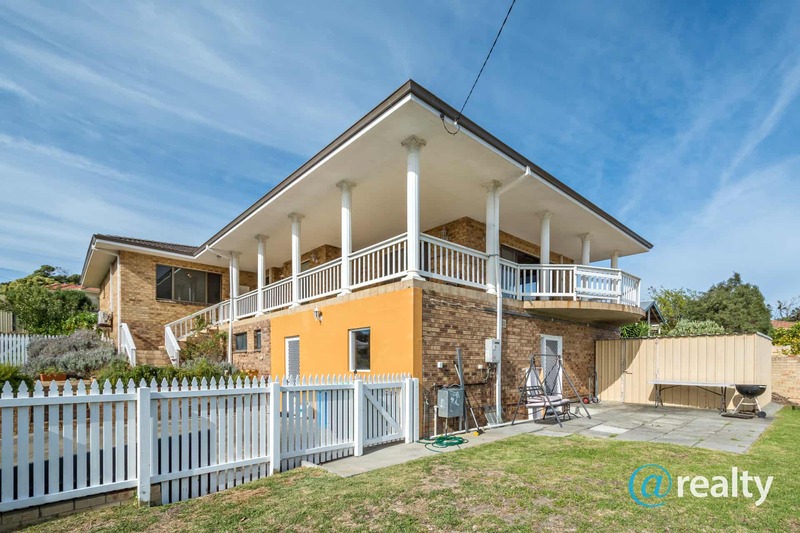 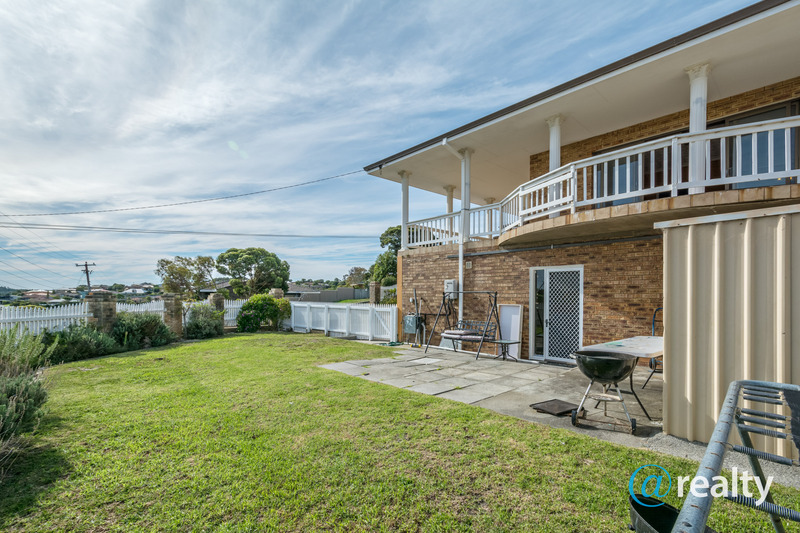 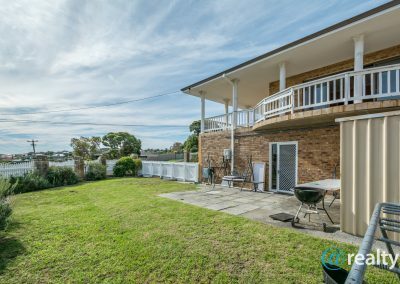 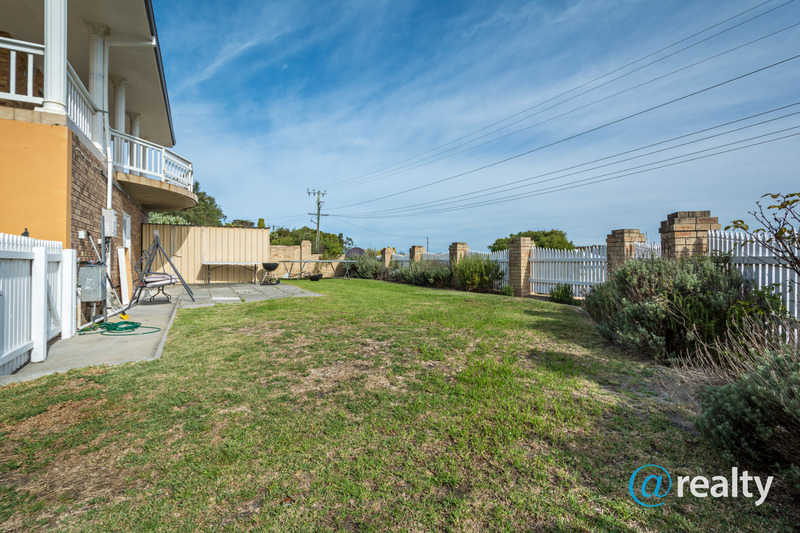 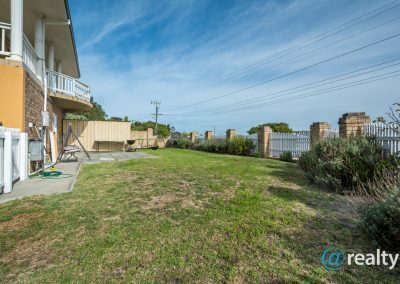 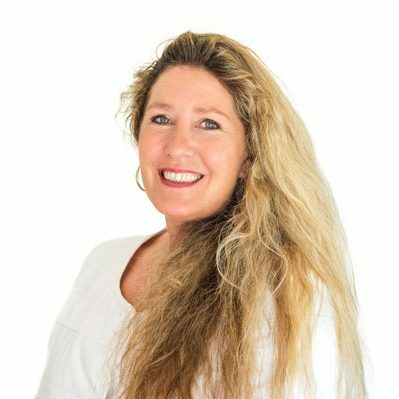 Contact the exclusive agent Jess on 0410 631 335 soonest to arrange a viewing.